As people face addictions, deal with loss and grief, and seek help in restoring broken relationships, where can they turn for counsel and assistance? The local church has been uniquely blessed with the gift of the gospel and is able to offer hope and counsel that no other institution on earth can. 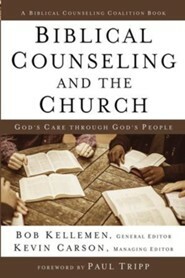 In Biblical Counseling and the Church, Bob Kellemen and Kevin Carson have assembled over twenty respected ministry leaders who examine the relationship between counseling and the church. 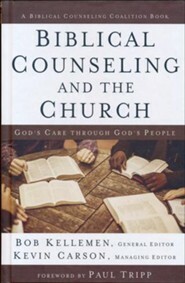 This comprehensive resource, part of the Biblical Counseling Coalition series, helps leaders and counselors develop a vision that goes beyond being a church with a biblical counseling ministry to becoming a church of biblical counselinga church culture that is saturated by "one-another" ministry. I'm the author/artist and I want to review Biblical Counseling and the Church: God's Care Through God's People - eBook.